There is no physical Home button and navigation keys. They seem to be replaced by virtual ones, even though the image does not show any of these. 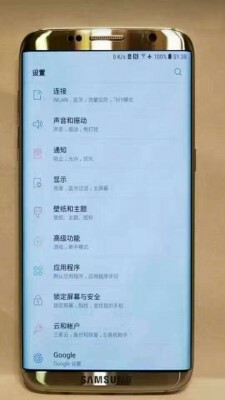 The fingerprint scanner is most likely on the back of the device. Display bezels have become thinner and the screen itself seems to be larger than the one that is used in the Galaxy S7 Edge. 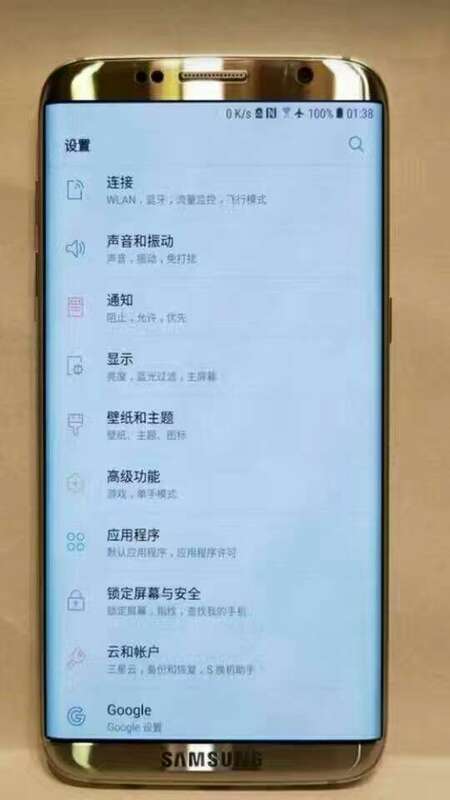 This photo was sent to me earlier today by a company that is making accessories for the upcoming Samsung Galaxy S8 and appears to show a leaked model of the upcoming Galaxy S8 flagship smartphone. Samsung is expected to unveil the Galaxy S8 either at MWC in February, or during a separate event in the spring. The smartphone may get a Snapdragon 835 processor and up to 8GB of RAM.